Maximum Weight Limit (pair): 360 lbs. Designed in 2007 by an Orthopedic Surgeon to address patient concerns about secondary injuries suffered during rehabilitation from an accident, sports injury, or surgery, as well as complaints of extra pain caused by common, traditional, underarm-style crutch support devices. The designer, Dr. Birnbaum, brought all his thirty-year patient experience and orthopedic knowledge to bear in inventing a revolutionary line of mobility support devices to improve the quality of life for his patients as well as all mobility-impaired individuals. 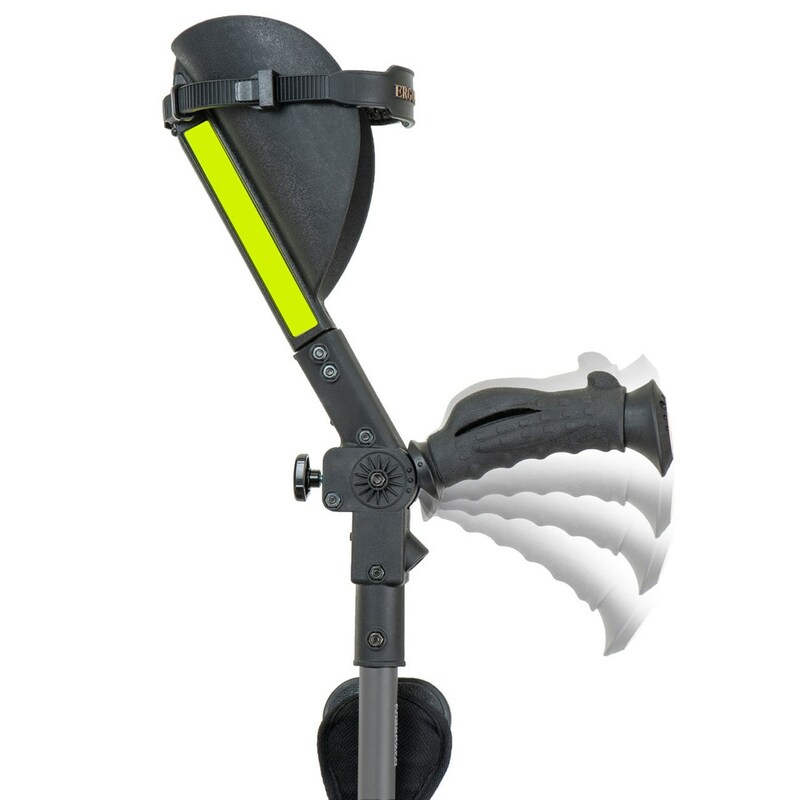 The Ergobaum Ergonomic Forearm Crutch is ergonomically designed with maximum shock absorption to provide comfortable, pain-free mobility support. It is CE, USA Medicare, and Medicaid Approved. 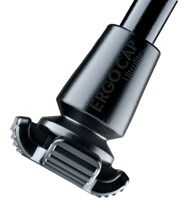 Unlike ordinary crutches, which can be a real pain-in-the-armpit, the Ergobaum Forearm Crutch is lightweight and comfortable to effectively reduce the typical negative side effects from using old-style, underarm crutches, such as back, shoulder and arm pain; underarm discomfort; carpal tunnel syndrome; and tendon subluxation. 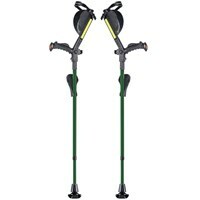 Spring-loaded shock absorbers built into the legs reduce impact with the ground to eliminate the typical pain associated with walking on crutches. It is always advisable when choosing a mobility or support device to discuss your options with your healthcare professional. The "best" product for you will always be dependent not only on the design of the device and your particular injury or disability but also on your individual body's overall physical strength and condition. Many long-term crutch users with sufficient upper body strength and active individuals recuperating from a sports injury prefer forearm crutches over underarm crutches. And for those who choose a forearm crutch, the Ergobaum Ergonomic Crutch has become a well-loved favorite because of its high-tech, state-of-the-art, patient-centric design. The adult-size Ergobaum Ergonomic Forearm Crutches adjust to fit users from 5-foot to 6-foot 6-inches tall, weighing up to 360 lbs. 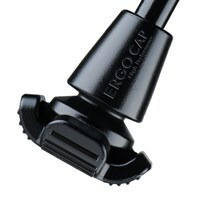 It features an adjustable, non-slip, cushioned hand grip. 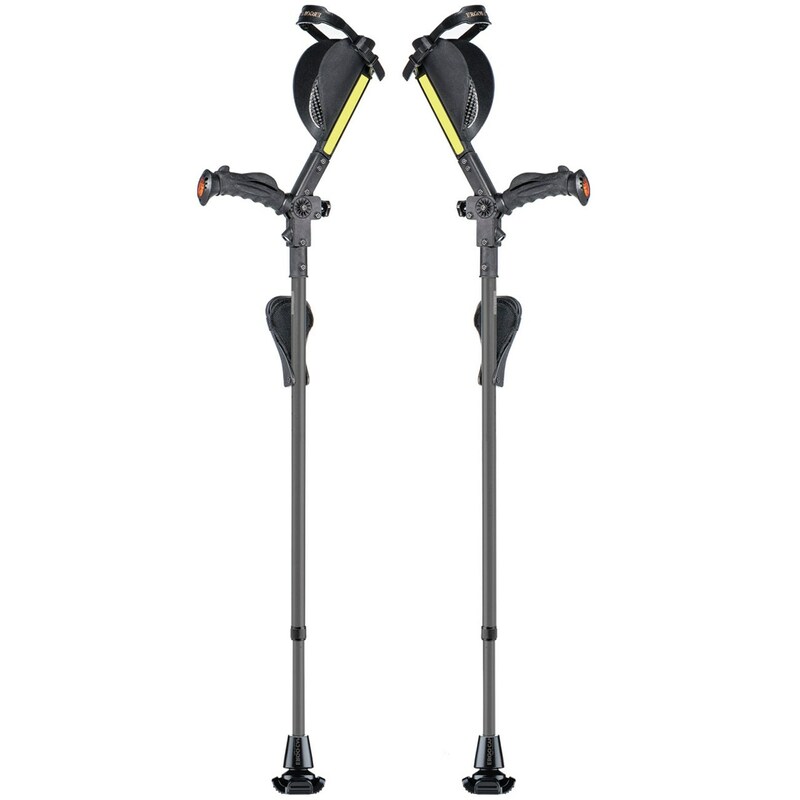 The built-in retractable knee platform allows you to comfortably rest your knee on it while standing. 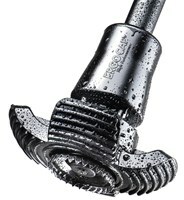 This is especially useful for lower leg traumas such as ankle or foot injuries. 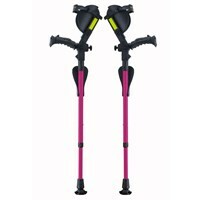 You will appreciate the spring-loaded, shock-absorbing leg design with every comfortable step you take as you walk from place to place. Walking while injured is always challenging and requires you to make every effort to be careful not to fall. And so you will appreciate the built-in safety features of the Ergobaum Crutch, such as the LED light for increased night vision; horn; reflectors; and stable, slip-resistant, Ergo Cap crutch tips.